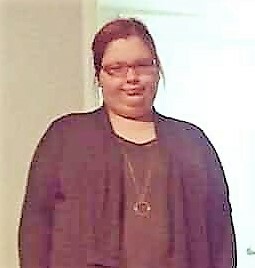 Samantha Madison Malone, 22, of Huntsville, Alabama passed away November 30, 2018. She was born on February 17, 1996 in Huntsville, Alabama to Ben and Angela (Nichols) Malone. She is survived by her father Ben Malone, sister Morgan Malone, grandmother Barbara Malone, and aunt Laura Malone. She was preceded in death by her mother Angela Malone, grandfathers Bobby Nichols and Ben Malone Jr., and grandmother Jeanetta Nichols. The family will receive friends at Spry Funeral Home on Monday, December 3, 2018 from 5:00 pm until 7:00 pm. In lieu of flowers the family requests donations be made to the Epilepsy Foundation.